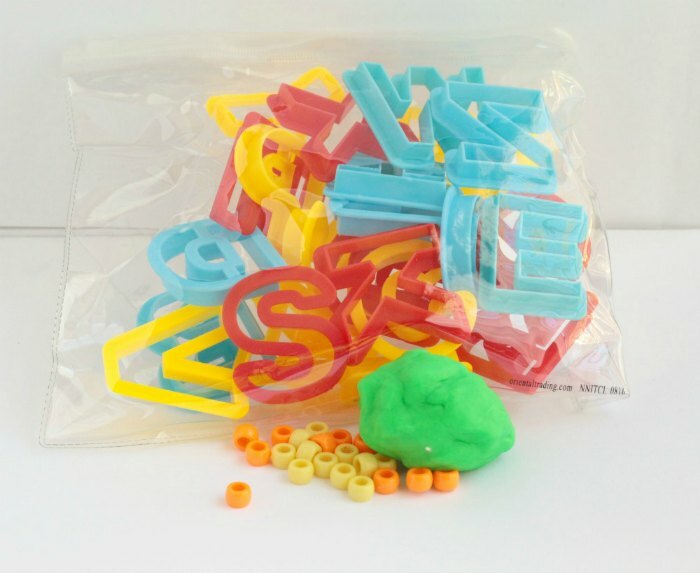 Set your children up for success by setting up this beaded play dough fine motor letter activity to work on letter recognition and fine motor skills at the same time! 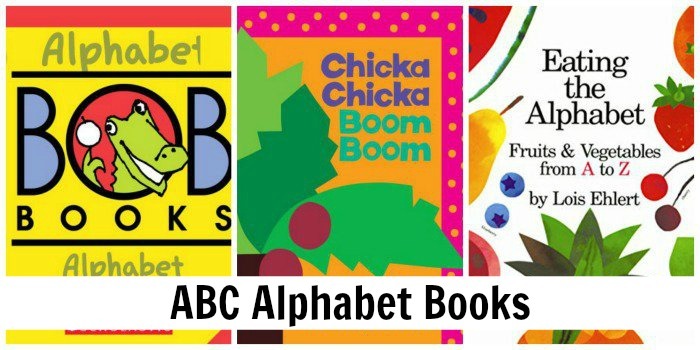 Fine motor skills are important for kids of all ages, but especially kids just learning to work with their hands in preschool and kindergarten. In today’s world, fine motor skills are often under-developed in kids because fewer children’s activities require the use of fine motor skills before school. This post contains affiliate links. 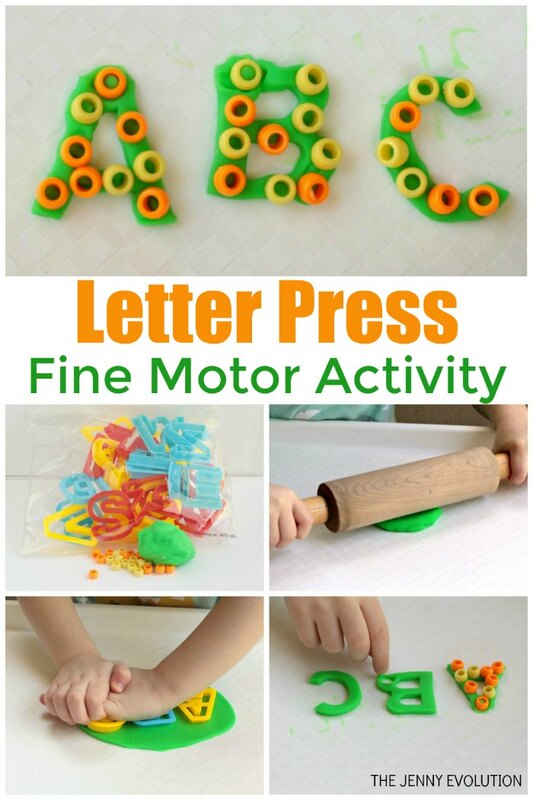 Follow these steps to set up the fine motor learning activity. Give your child a lump of playdough. 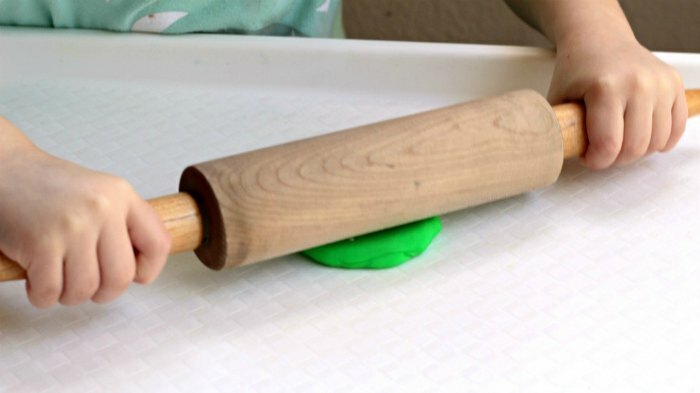 Show them how to roll out the dough onto the play tray. If your kids are anything like mine, they will love rolling out the dough. 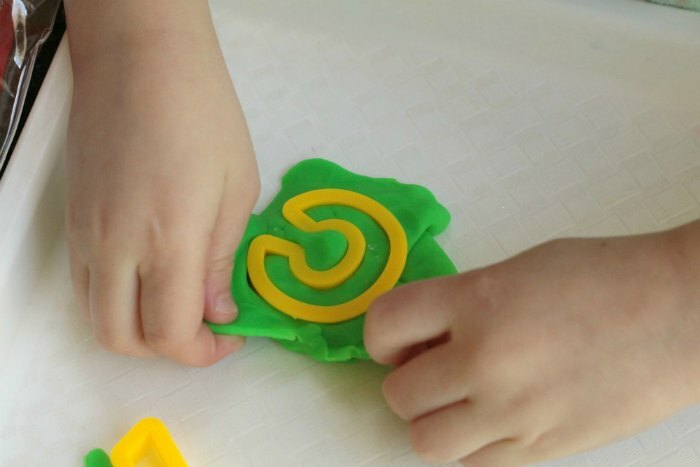 After the dough is thinned out, show your child how to press the letter cutters into the play dough and cut out the letters. 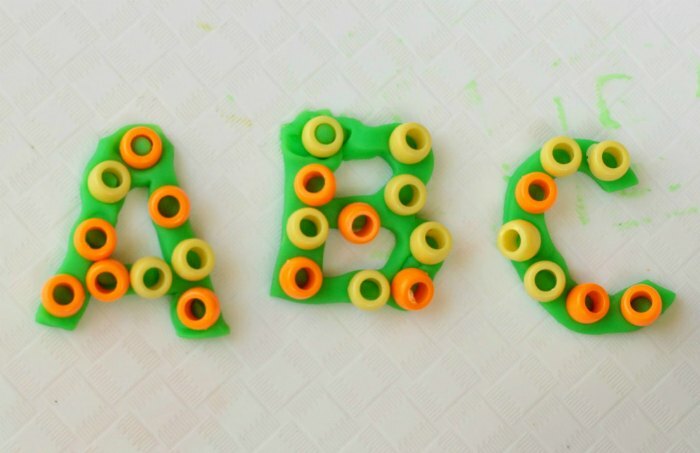 After cutting out the letters you want (you could cut out the letter of the week you’re working on, the letters in your child’s name, the letters in alphabet order, or the uppercase and lowercase of a certain letter), put the rest of the play dough away. 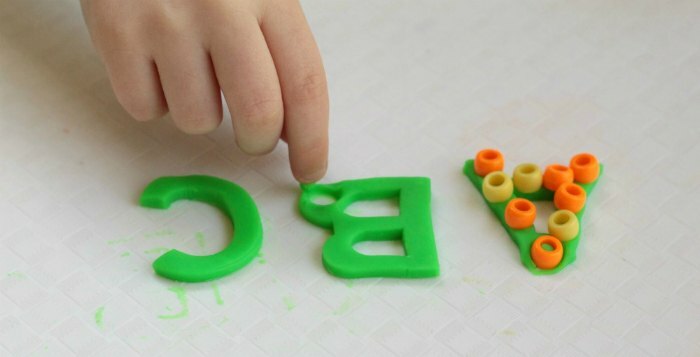 Show your child how to press the beads into the dough (but not as far as the cookie cutters, or else you’ll end up with Swiss letters- full of holes!). 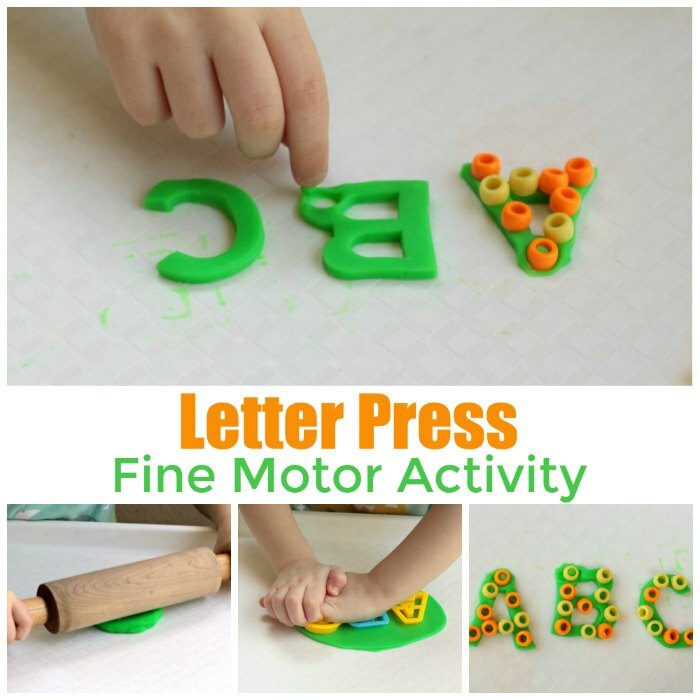 Show them how to press the beads into the letters in the same direction that the letters are written. This is a great way to practice pre-writing skills without the child even realizing they are learning! There are a lot of ways you can play with the beads in the letters. You can try making patterns, using only one color bead, or alternating colors between letters. This will be a good activity for the grandkids. Thank you for sharing at What’d You Do This Weekend? Hope to see you back next week!